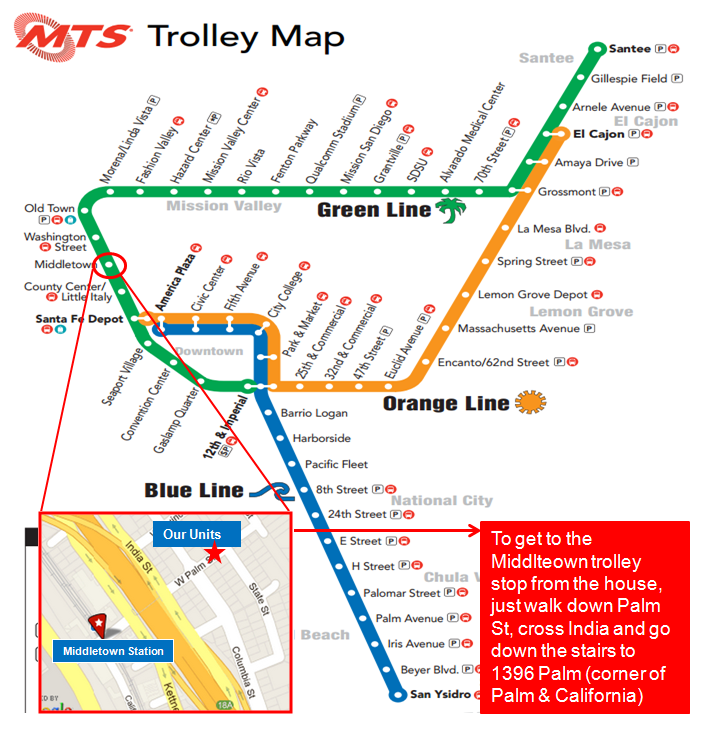 The trolley services everything from downtown and convention center to Old town to the Mexican border. See the map below for directions to nearest stop (5 min walk). A network of town cars that you can order from your smart phone and they arrive within minutes. About 20% more than a cab, but worth it if you want to travel in style. Biking around town is one of the best ways to immerse yourself in the local environment. San Diego’s streets and sidewalks are full of colorful bikes and scooters that can be ridden on sight and left anywhere. The bikes can be unlocked by downloading the bike companies app and you’re on your way. You can also rent beach cruisers or better yet, GRAB AN ELECTRIC HYBRID bike from our local preferred bike shop Ivan Stewart’s Bike’s. Tell Gary, the owner that you are a guest at Rental With A View, and receive an immediate 10% discount on your entire rental or purchase!